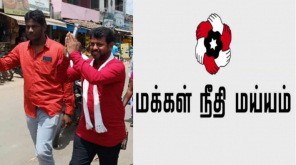 Makkal Needhi Maiam Candidate (South Chennai): Elections are not far away as the candidates from various parties and individuals have filed their nominations for the upcoming parliamentary elections 2019. 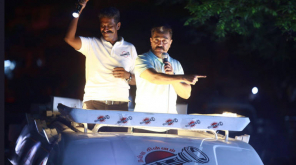 The Makkal Needhi Maiam Party found by actor/politician Kamal Haasan is making full-fledged campaigns around the state after nominations. 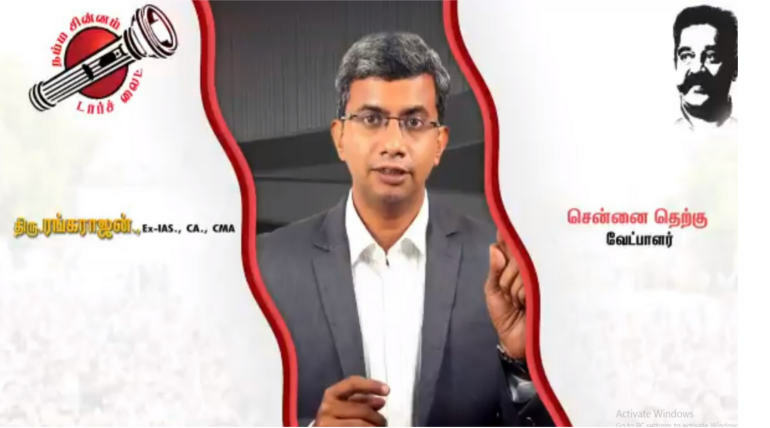 R. Rangarajan Ex IAS, CA, CMA is the candidate standing in the South Chennai constituency representing the Makkal Needhi Maiam party. The former collector is standing in one of the main parliamentary constituency is a member of the Executive committee of Makkal Needhi Maiam in the state. He is also a coordinator of policy and election campaign of MNM. Currently, he is been training the IAS and IPS aspirants and is the Assistant-Director of the training center. In 2008, Rangarajan got graduated by IAD and served as the collector of Assam. The weel graduated candidate and a businessman is taking in one of the main constituency of TN. The man has shown a lot of involvement in the election and doing full-fledged ground works for the Party. மக்கள் நீதி மய்யம் வேட்பாளர், திரு ஆர். 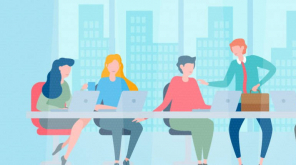 ரங்கராஜன் Ex IAS,CA,CMA - சென்னை தெற்கு பாராளுமன்ற தொகுதி. Makkal Neeti Maiam Candidates Campaign Only in Cities?